Be the first to hear about their new releases and deals. Download the Booksprout app and search for Emily Bishop today! 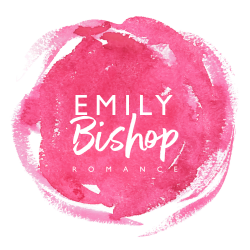 Emily Bishop is a breakthrough romance writer from Seattle, Washington. She originally attended the University of Washington as a history student but soon found a passion for words and stories. Upon graduating with a degree in creative writing, Emily fell in love and moved away from the hustle and bustle of the city to a quiet little town in Oregon. She is now a full-time writer who loves her job. She enjoys bad horror flicks, hair pulling, lemon pound cake, and spending time with her husband, Charlie, and her dog, Roscoe.